Influenza, commonly known as the flu, is a serious respiratory disease. According to the Center for Disease Control and Prevention (CDC), each year, 200,000 Americans are hospitalized due to flu-related complications, with as many as 49,000 deaths from influenza-related causes. What you thought was just a little cold could be the flu. Whenever you think you have the flu, talk to your doctor about treatment right away. Treating the flu virus at its source may help limit its ability to spread in your body. Do you want to discuss this with a physician? 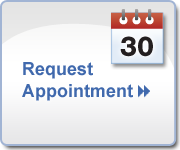 Give us a call and/or make an appointment today. What can I do when I have the flu? You may have the flu if you have some or all of these symptoms: fever*. cough. sore throat. runny or stuffy nose. body aches. headache. chills. fatigue. sometimes diarrhea and vomiting. Influenza, commonly known as “the flu”, is an infectious disease caused by the influenza virus. Symptoms can be mild to severe. The most common symptoms include: a high fever, runny nose, sore throat, muscle pains, headache, coughing, and feeling tired. Influenza, or “flu,” is a caused by a virus infecting the respiratory system, meaning your nose, throat, bronchial tubes, and lungs. When is influenza not contagious? The Flu Is Contagious. Most healthy adults may be able to infect other people beginning 1 day before symptoms develop and up to 5 to 7 days after becoming sick. Children may pass the virus for longer than 7 days.